Microsoft Corporation (NASDAQ:MSFT) is bidding $2.5 billion for the ownership of the Swedish company Mojang AB whose main arsenal is the sandbox game Minecraft. Tim Lesko of Granite Investment Advisors and CNBC‘s ‘Closing Bell’ panelists discussed the issue. “Essentially, for a $380 billion market cap company [Microsoft Corporation (NASDAQ:MSFT)] to buy something you know that has a $300 million in revenue and buying it for $2-$2.5 billion is not even 1% of the value of Microsoft Corporation (NASDAQ:MSFT). So when you make an acquisition like that you kind of hope that it’s going to move the needle for such a big company and I just don’t see what that needle is […], ” said Lesko. While there was uncertainty among the panel about what exactly Microsoft Corporation (NASDAQ:MSFT) was trying to achieve with this acquisition, a panellist shared an insightful thought about what Mojang could be worth to Microsoft after the Swedish company is integrated into the world’s giant software house. According to CNBC, Minecraft currently has about 54 million users, which is a significant number in itself. This makes the team that developed Minecraft of high value in terms of human capital. 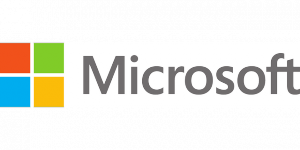 With such experts on its team, Microsoft Corporation (NASDAQ:MSFT) could better develop its current products such as Xbox, Cloud and even its mobile division. This means that Mojang is bringing immense growth incentive on the table for Microsoft, which is currently trading at about 13-14 times forward earnings multiples, explained the pannelist. Moreover, currently Microsoft Corporation (NASDAQ:MSFT) has about $86 billion in cash and buying a thriving Swedish gaming company is a good use of its overseas foreign capital. However, the software company’s angle on this acquisition is yet to be seen as is also this move’s ability to more than tick the mammoth company’s revenues which is an uphill task, to say the least.